In the late 80s one brand set about dominating the industry in a way which would shape things forever. Teams, players and kits exist in perfect harmony. Dominant teams and legendary players come and go, but shirts are there as a colourful tapestry reminding us of all the glorious and painful moments that make football special. Today shirts are a big industry. Many fans lament the fact 3, 4, even 5 new shirts can come out for any given season. When you take a step back however, there’s a growing number of people who are appreciating the fact that shirts can be enjoyed whatever year they are from, rather than existing as a necessity. 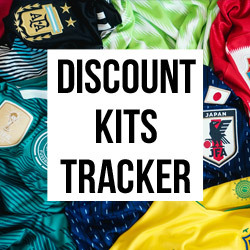 This growing love for designs has had a ripple effect across the industry, with sites like Classic Football Shirts feeding the hunger for authentic, retro shirts in a market which was previously restricted to eBay punts and cheap remakes. 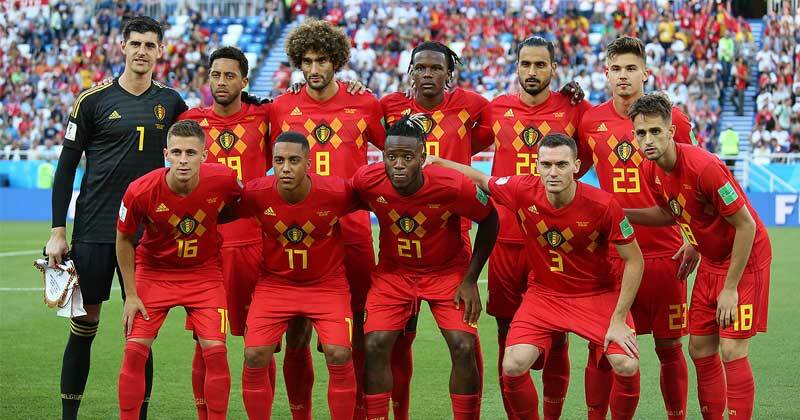 Belgium were one of a number of teams at the World Cup to feature a callback design. Image from Wikipedia. Even more excitingly, brands sat up and took notice for last year’s World Cup, with a number of kits calling back to iconic designs. Rather than simply rehashing patterns from the 80s and 90s, we’ve seen modern twists on what we remember, bringing well-loved looks forward for the next generation. So how did we get to where we are today? What are the seminal shirts that are still influencing the game in 2018? We’ll explore these questions and more in this new series, Shirt Tales. This blog is part of our Shirt Tales series. Check out the rest of series below. 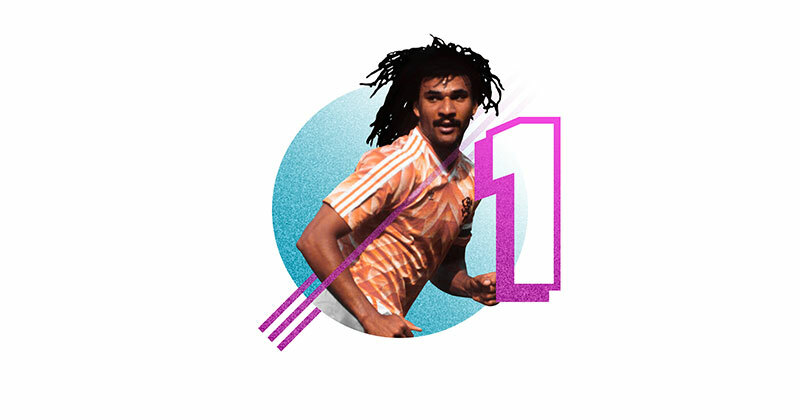 Entering the 90s, there was one clear winner when it came to football brands: adidas. 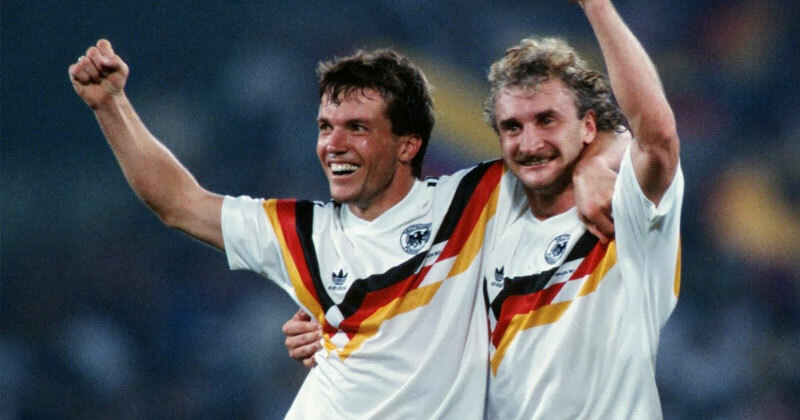 The German behemoth had quite simply cleaned up in the late 80s, producing arguably the two most iconic football shirts of all time at a significant time in the game’s history. A legendary design in every sense. Image from IMDB. Where were you when Marco van Basten scored that volley? 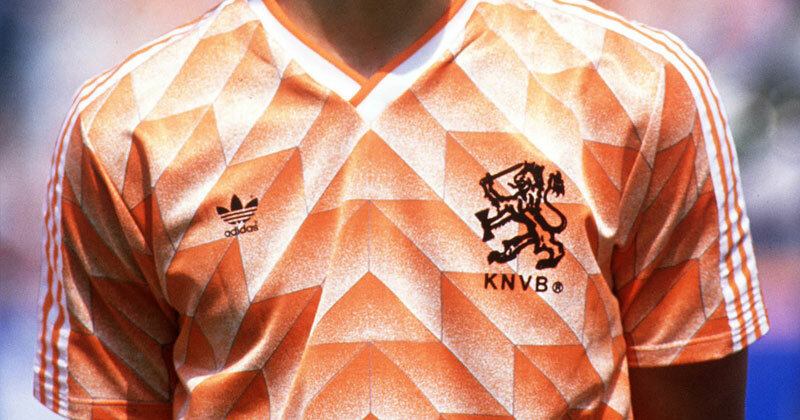 Even if you don’t remember, or if like me you weren’t even born then, chances are you will recall the geometric work of art that was worn by Holland at Euro 88. It represented the pinnacle of shirt design up to that point, almost as if years of development and experience had been pooled together for one perfect storm. In that storm was the debut of another timeless classic. When it rains it pours, and alongside Netherland’s masterpiece West Germany were sporting a flag-inspired pattern which captured the imagination of people across the glove. Everything about the look made sense. If you ask people what the greatest football shirt of all time is, they'll probably say this. Image from Wikipedia. As patriotic as it was cutting-edge, it served as a wonderful reflection of the country it was representing during one of it’s most critical of junctures. It seems almost poetic that the Berlin Wall stood and fell during the lifetime of the shirt, and that significant backdrop only added to aura of the kit. 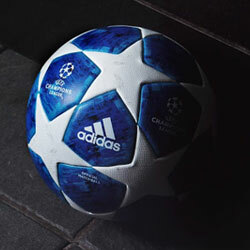 All things considered it seemed impossible that anyone would be able to prize the crown away from adidas. It wasn’t as if other brands hadn’t been successful before, you only have to look at early pioneers like Admiral and Umbro to realise that there was always potential in the world of football shirts. Something about adidas’ success seemed insurmountable though, as the brand continued to push the envelope with design on the international and domestic scene. 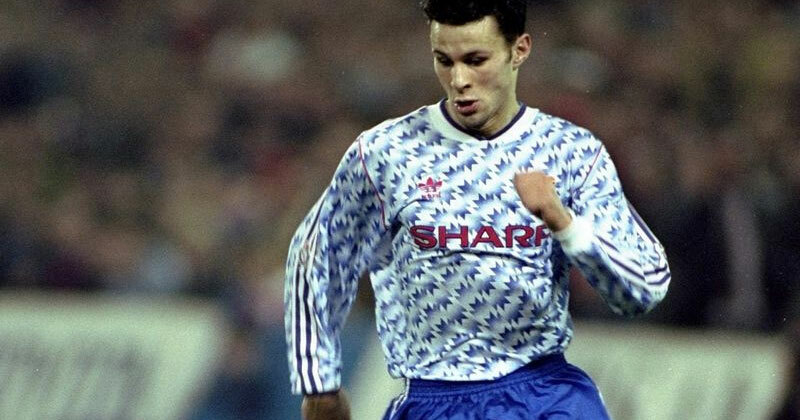 One club kit that immediately springs to mind is Manchester United’s away kit from the 1990-91 season. That shirt is everything that is good about shirt design. A truly great United shirt. Image from MEN. 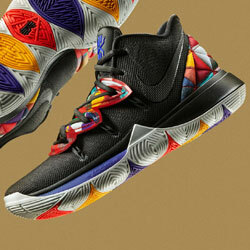 We start with a colourway which features no unnecessary distractions. Blue and white with red detailing. Everything from the sponsor to the adidas trefoil and sleeve detailing integrated perfectly. The flash of yellow on the crest popped out wonderfully too. Then we come to the main body of the shirt. This is a pattern which, in my opinion, is one of the best designs used for any club, ever. Interlocking chevron-like shapes flood across the whole of the shirt, in a look which is just as effective up close as it is from distance. It’s easy to get a gradient wrong but this shirt doesn’t, using the technique to give the pattern depth and interest. After becoming an early-adopter with adidas in 1980, this was to be United’s last shirt with the brand for over 15 years, and I would argue this was the best away kit they’re ever had. In amongst everything they wore, this particular shirt stands tall as one of the great shirts in English football. 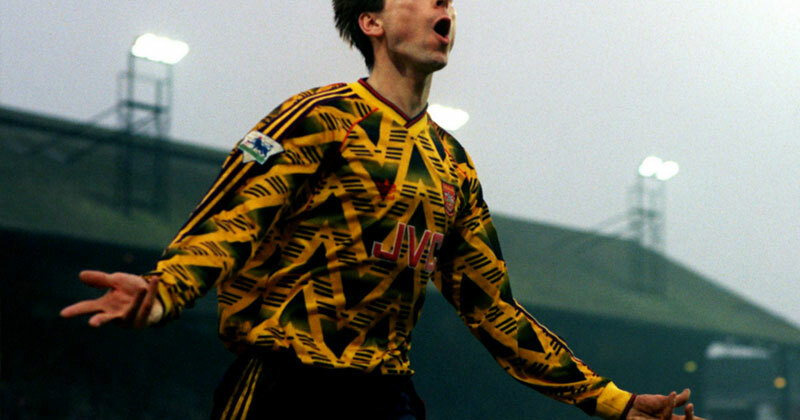 Another design that jumps out is the infamous ‘bruised banana’ Arsenal kit first used in 1991. Yellow is solid colour choice for an away kit, but the base of the shirt was almost suffocated with a black triangular pattern than featured gradients and thin strips throughout. 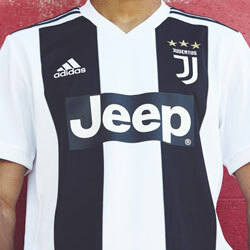 Unlike the United shirt, the gradients this time muddied the colourway to make the shirt look almost dirty, with the adidas logo completely lost in the chaos. We're probably going to see this sort of thing again this year. Image from Football Shirt Collective. It’s what I’d call a beautiful mess, something which is hard to love but undeniably memorable. And that pretty much summed up adidas at the beginning 90s. Whatever they made, it left an impression. In the years that followed we saw their three stripe branding take centre stage, in a move which delighted purists after the mad geometric patterns that greeted the decade. Look how perfectly the shirts match with the shorts. Image from OM.net. Marseille’s European Cup winning shirt of 1993 is a superb example. The adidas stripes frame the body of the shirt, rather than advertising a manufacturer’s identity in a pushy way. A lot has to be said for how the shorts work in tandem with the shirt also, only enhanced by the lack of a sponsor for the French team’s European campaign. adidas were dominating the market and everyone else seemed consigned to the role of plucky underdog for the foreseeable future. 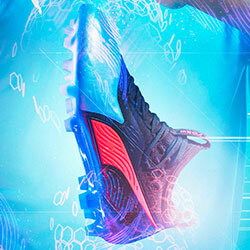 But in the background a certain American brand was putting together a challenge that would shift the industry forever. Umbro have played a significant role in the football shirt landscape. These shirts help tell their story. adidas looked to be invincible in the football shirt world, until a certain American company came along. Remember when football shirt sponsors used to be a lot more fun? It's been nearly 20 years.